Designed specifically for admitted students who are still deciding on their final college choice. Come see for yourself what life is like at Vanderbilt. 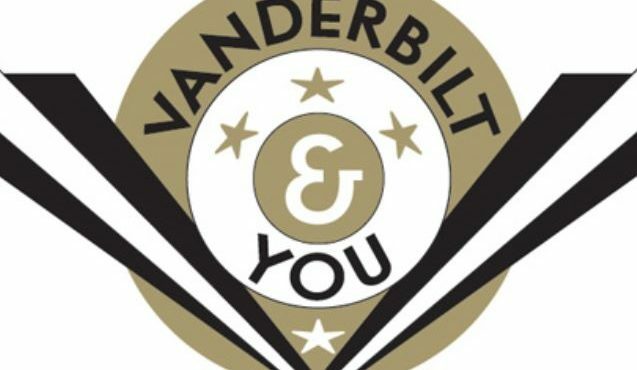 Connect with current Vanderbilt students, meet other admitted students, tour campus, enjoy lunch on The Commons, meet Vanderbilt faculty, and more. 'Dore for a Day is a half-day visit program designed for juniors, seniors and admitted students which offers participants the chance to shadow a current Vanderbilt student. In April, all spots in the 'Dore for a Day program are reserved for admitted and wait-listed students, so don't miss this great opportunity to see what life is truly like as a Commodore. Note: Due to program overlap, students should not register for both the Admitted Student Information Session and Tour and 'Dore for a Day on the same day. The Admitted Student Information Session and Tour offers students a more comprehensive visit experience. Students who enroll for both programs on the same day will be automatically unenrolled from 'Dore for a Day. This program functions the same as 'Dore for a Day, but is designed exclusively for international students. Likewise, the month of April is reserved for admitted and wait-listed international students. While this program is not especially designed for admitted students, you will learn much about Vanderbilt during the information session and through the student-led campus tour. If you decide to attend a daily information session, email your counselor so we can be sure to welcome you as an admitted student! Regardless of your visit plans in April, we encourage all new 'Dores to experience the virtual tour of Vanderbilt. Featuring current students as guides (one from each of the university's four undergraduate schools), the tour gives users an experience of campus rivaled only by an actual visit. What's more, the tour is presented in three languages – English, Mandarin Chinese, and Spanish – making it useful for both domestic and select international audiences. The tour is also populated with plenty of supplemental material intended to illuminate the complete Vanderbilt experience, including 50+ captivating panoramic images, still photography, and videos. During the month of April, the Offices of Undergraduate Admissions and Alumni Relations host informal receptions for admitted students in locations throughout the country and the world. These receptions connect admitted students with each other as well as to alumni, admissions officers, and other university staff. Use this opportunity to catch a glimpse of what it means to be a part of the global Commodore community.